North Korean action for US words? 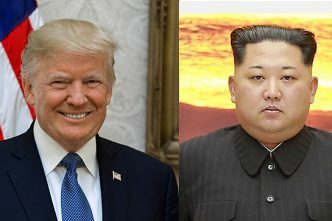 Just days ago, the planned summit in Singapore between US President Donald Trump and North Korean leader Kim Jong‑un seemed to be hanging by a thread. Talks are still on track, but the North Koreans have expressed second thoughts, owing to statements from the Trump administration suggesting that the North would be expected to denuclearise in exchange for the mere promise of loosened sanctions. The North Koreans are also concerned about comments made by Trump’s national security advisor, John Bolton, an old nemesis whom the North—never lost for insulting words—once called ‘human scum’. In recent weeks, Bolton has suggested that talks with North Korea could follow what he calls the ‘Libya model’—a facile shorthand for a country that simply surrenders its nuclear program for little in return. 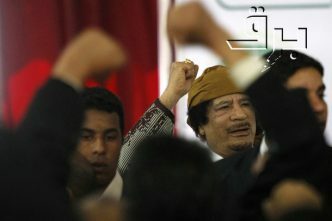 Contrary to Bolton’s cartoonish retelling, former Libyan leader Muammar el‑Qaddafi actually negotiated quietly with the Europeans and the United States for years before surrendering his weapons in 2003, and he received security commitments and assistance in exchange. But the even larger problem with Bolton’s message was that, to the rest of the world, the ‘Libya model’ could just as well refer to the 2011 NATO air campaign that allowed rebels to topple Qaddafi’s regime. The NATO intervention ended with Qaddafi’s corpse being dragged through the streets of Sirte as the world—and particularly the North Koreans—looked on. Whatever Bolton meant, Trump quickly brushed his statements aside, insisting that, ‘The “Libya model” isn’t a model that we have at all, when we’re thinking of North Korea.’ Still, it remains to be seen what Trump actually does have in mind for the summit. 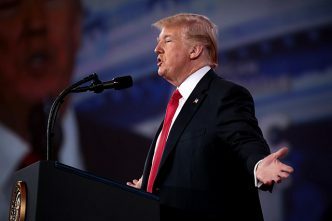 He has decried his predecessors for being ‘played like a fiddle’ when offering North Korea sanctions relief in the past. And he has wisely ruled out the reduction of US troops in South Korea as an interim gesture. But how Trump intends to convince the Kim regime to abandon its fundamental identity as a nuclear state is still an open question. One of the Trump administration’s negotiating tactics so far has been to offer friendship and warm words, the likes of which have never before been uttered by US officials to North Korean leaders. When I represented George W. Bush’s administration in the six-party talks in 2005, I had written instructions not to participate in any dinners or other social engagements with the North Koreans, nor even to raise a glass in any toast that included North Korean representatives. Interactions with North Korean officials were to be conducted in the presence of Chinese chaperones. 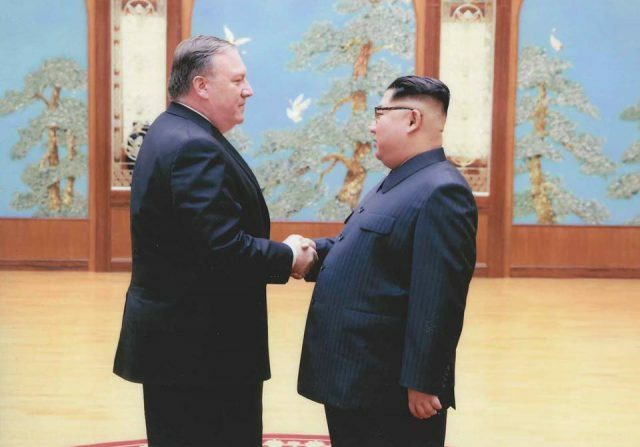 But this policy of forced pettiness was more or less abandoned during later rounds of those talks, and it is good to see that Secretary of State Mike Pompeo has not revived it in his encounters with the North Koreans thus far. 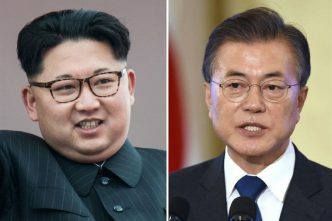 At the summit, the Trump administration will likely hold out the prospect of a peace agreement to end the 1950–1953 Korean War and recognise the North Korean state. This blueprint is not new. The September 2005 joint statement for the six-party talks stated specifically that, ‘The directly related parties [read: not Russia or Japan] will negotiate a permanent peace regime on the Korean peninsula’, and that North Korea and the US would work ‘to respect each other’s sovereignty, exist peacefully together, and take steps to normalise their relations’. Of course, we know what the North Koreans were really interested in. As a result of sanctions, the regime desperately needed heavy fuel for heating purposes. The US and other parties to the talks agreed to deliver fuel shipments in exchange for incremental steps toward denuclearisation, including the disabling of the nuclear reactor at Yongbyon. In the diplomatic parlance of the time, this was referred to as ‘action for action’. Ultimately, the entire six-party process foundered on the issue of verification, when the North refused to grant inspectors access to sites that were not included in its earlier declaration of nuclear facilities. As the summit approaches, Trump and his advisers will need to determine if the North Koreans view the verification issue any differently than they did 10 years ago. If Trump can secure an agreement based on ‘action for words’, he really will have demonstrated the ‘art of the deal’. But the question remains: are the North Koreans serious? Christopher R. Hill, former US Assistant Secretary of State for East Asia, is Chief Advisor to the Chancellor for Global Engagement and Professor of the Practice in Diplomacy at the University of Denver, and the author of Outpost. This article is presented in partnership with Project Syndicate © 2018. Image courtesy The White House via Facebook.